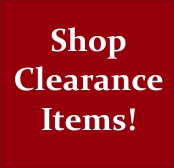 You'll find many exceptional bargains on our Clearance page. They change almost daily, and many items are virtually new. Don't miss out on a gem!